In the portion, BeShalach (When Pharaoh Sent), Pharaoh sends the children of Israel from Egypt following the ten plagues that he and the Egyptians suffered. The Creator does not lead the children of Israel directly to the land of Israel because it means they will have to go through the land of the Philistines and the Creator does not want the children of Israel to fear war and escape back to Egypt. Instead, He sends them through the desert. Moses takes Joseph’s bones. The Creator walks before the people, lighting the way for them with a pillar of cloud—during the day, and a pillar of fire during the night. When Pharaoh learns that the children of Israel really did escape from Egypt he changes his mind and decides to chase them. He assembles 600 chosen chariots that chase the children of Israel all the way to the Red Sea. The children of Israel find themselves with the sea before them and Pharaoh behind them. This is when the first miracle takes place: Moses strikes the sea, it is cut in two, and the children of Israel pass through dry land. When the Egyptians try to pass, the water closes on them and they all drown. In gratitude to the Creator for the miracle, the children of Israel sing the Song of the Sea (Exodus, 15). Moses leads the children of Israel through the desert on the road to Shur. When the people grow thirsty they arrive at Marah, a place where the water is bitter so they cannot drink. Here another miracle occurs and the water becomes fresh (the Torah writes “sweet”). Moses and the people continue to advance toward Eilam where they discover twelve springs of water and seventy dates. They park there then continue toward the desert of Sin. The people complain that they have run out of supplies and the Creator performs two miracles: in the first, manna comes down from the sky. In the second, quails came over the camp of Israel so they will have meat in the evening. The children of Israel receive the first commandment—to observe the Sabbath. They are told that on Sabbath, no manna will come down from the sky and that on the sixth day they must collect supplies for two days. The children of Israel continue from the desert of Sin and arrive at Rephidim. Once again there is no water and the Creator performs another miracle: Moses strikes a rock and water gushes out of it. Toward the arrival at Mount Sinai, Amalek appears and fights against Israel. When Moses raises his hands, Israel win; when he lowers them, Amalek wins. Finally, Israel defeat Amalek and the Creator tells Moses to write in a book of remembrance that the memory of Amalek must be blotted out from under the heaven. Man is born with an inherently egoistic desire to receive. However, when ascending over it, one’s perspective changes and he no longer thinks only of himself. From the moment we are born we want to use the whole world for our own benefit. This is the Amalek in us. AMALEK is an acronym for Al Menat LeKabel (in order to receive). We turn the will to receive into a spiritual quality that aims toward bestowal through a process in which each of us works on his or her self using the light that reforms. The light that reforms is a force that awakens in a person who studies Kabbalah correctly, together with a group. That force awakens and a person feel the changes constantly happening within. 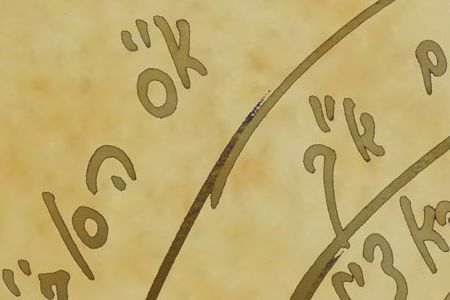 These are the changes that the Torah describes in this portion. Pharaoh really does send the people of Israel. That is, our ego is under stress, suffering, in a conflict between the forces operating on it to the point that it “allows” us, throws us away from itself. When the children of Israel escape from Egypt with all the Kelim, meaning desires, a person rises above the ego, but the egoistic intentions remain. In the process of development, one gradually rids oneself of them through the numerous changes one goes through in the process of exiting Pharaoh’s rule and coming under the rule of the quality of the Creator—the reign of the quality of bestowal and love of others. Philistines are our egoistic desires. Even once we escape the rule of the will to receive they are still connected to bestowal. It is called “bestowing in order to receive.” When we give, we reach out to others. But when we begin to give we see that we can also gain by it. Therefore, we must rise above the desires that are found outside the boundaries of Egypt, too, though the correction in them is different from the one that took place in Egypt. We could not discover these desires while in Egypt because we were “buried” under our egos. When we emerge from the ego, we see how it pulled all of us through the forty years in the desert, and even afterward, in the land of Israel, when we conquer the land. The Song of the Sea is thanksgiving. It is gratitude for crossing the border, never to return to Egypt. At times we might cry over the past, as it happens in this portion, but there is no way back. We make the final exit from Egypt. After the escape, we begin to feel the spiritual world and not just the existence of this world, and this feeling induces an outburst of joy. MAN is Mey Nukvin (Aramaic: female water). It is the will to receive wanting to rise to the level of Bina. When one feels that one can and must bestow in these desires, one requests that it will happen. Such a person needs the help of the upper force to make it happen, and then the force appears from above. When one begins to use this force, it fills one with bestowal upon others, and this is called “eating manna.” But in this world we will never feel this way because in this world we are fulfilled by reception, while in the spiritual world we are fulfilled by bestowal. The most precious of all is the food that the friends who engage in Torah eat, food that comes from high Hochma, actual Hochma. This is because the Torah comes out of the upper Hochma, and those who engage in the Torah enter the essence of the roots, hence their food comes from the high and holy place.